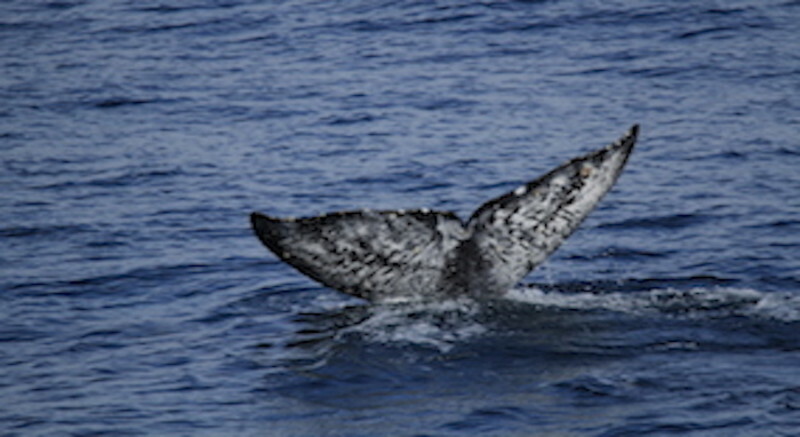 Naturalist Captains share their passion as whales frolic and dolphin surf the bow. 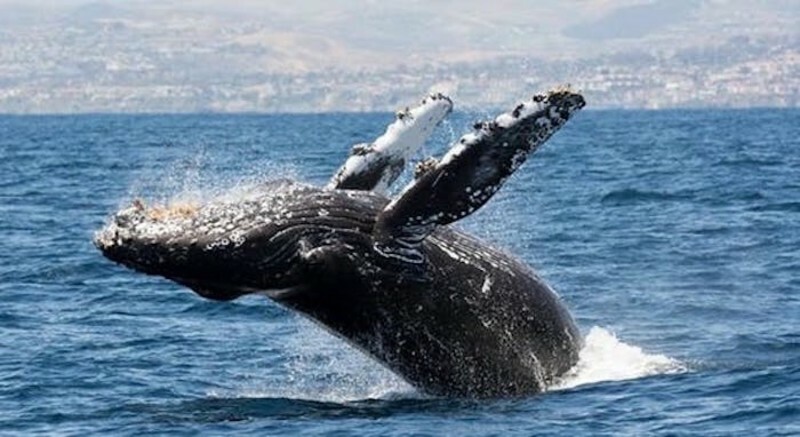 The pioneers of whale watching in Orange County, Dana Wharf is committed to providing life-long memories to locals and visitors alike offering a Marine Mammal Sightings Guarantee which means you'll have a good showing or you ride again, anytime FREE. Within 5 minutes of leaving the dock, you'll be in the Pacific Ocean, ready to be up close and personal with our beloved Whales as they spy hop and breach right in front of you and the price is always right! Friendly Dana Wharf Captains are expert navigators and are all Certified Naturalists by the American Cetacean Society. Our Naturalist Captains share their passion and knowledge as whales frolic about and dolphin surf our bow. Founder Don Hansen pioneered whale watching in Orange County back in 1964 and the family-owned and operated Dana Wharf is committed to providing these life-long memories to locals and visitors alike. The perfect adventure for all ages, Dana Wharf offers the only Marine Mammal Sightings Guarantee which means you'll have a good showing or you ride again, anytime FREE! Exclusively endorsed by world-famous marine life artist Wyland, Dana Wharf adventures may take you up the Coast through the illusive Laguna Beach coastline, famous for its pristine beaches and Hollywood connection. Dana Wharf provides responsible whale watching adventures on immaculate vessels that feature comfortable seating and optimal viewing for everyone! Even the smallest watcher will enjoy the beauty of the vast marine mammals who love to put on a show for our passengers. Come aboard the luxuriously smooth 65 ft. Ocean Adventures Catamaran, our custom-built, state-of-the-art vessel features a raised viewing platform that ensures optimal viewing without getting wet! You'll be comfortable on the cushioned indoor or outdoor seating, enjoy a smooth, quiet ride, and with never more than 59 passengers, your adventure is never crowded. Board the the ultra-fast 95 ft. Dana Pride for a smooth ride, even in rough waters! Featuring upper deck outdoor and inside galley seating, your adventure on the largest OC whale watching vessel will be an experience you won't forget! Expertly navigated by our Naturist Captains, this flagship vessel gets to the marine mammal action quickly, so you don't miss the show. Looking for a more intimate adventure? Charter any one of our smaller vessels for your personalized trip. Our fleet of 14 vessels feature small 6-packs, mid-sized boats, and a Schooner sailboat, the Curlew. Dana Wharf Whale Watching - a whale of a good time for all ages! Reservations suggested and there's always FREE PARKING! 1/2 PRICE TUESDAYS all year round! Half price off the usual adult fare!Please note that Tuesday trips generally sell out, so for a less crowded boat please book a full-priced ticket for a different day of the week. 1/2 Price Whale Watching Tuesdays! 1/2 PRICE TUESDAYS all year round! Half price off the usual adult fare! Please note that Tuesday trips generally sell out, so for a less crowded boat please book a full-priced ticket for a different day of the week.